3. Make sure you have adequate support from the breeder. 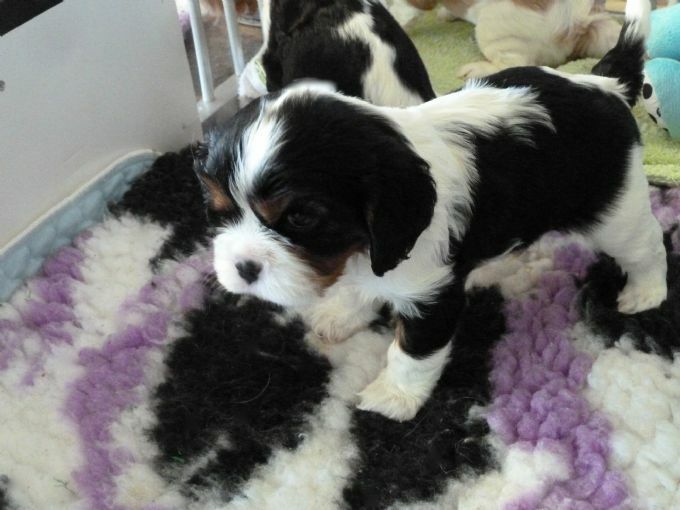 Reputable breeders will supply information about the puppy’s pedigree, how to look after the puppy and will also include a vaccination certificate, a microchip, plus other relevant information. Registered breeders do not sell puppies before they are 8 weeks of age. 4. Responsible breeders will discuss both the positive and negative aspects of the breed. They will also allow you to visit (providing all of their dogs are adequately vaccinated), will have their dogs living in clean living quarters. They should ask you lots of questions. Some breeders may ask you to complete a questionnaire to assess your suitability as a potential owner of a puppy. At what age do they breed their dogs? If it is before two years of age, ask them why. Are the parents registered with the Canine Association of Western Australia? Can their registration certificates be sighted? Ask where the dogs are from, did they breed them or where did they purchase them from? Can you see a pedigree for the dog you are purchasing? Ask what is being done to try and reduce the risk of MVD? If the breeder does not know, and does not discuss with you a clear plan of health testing the dogs being bred from, then steer clear! Can the breeder tell you of other health issues in the breed? Can the breeder produce copies of health certificates for the parents of the puppy? Does the breeder exhibit dogs at conformation shows? Does the breeder belong to a Cavalier breed club or local dog club? Is the breeder a member of the CAWA? Does the breeder sell puppies on spay and neuter contracts? Heart clinics for Cavaliers are co-ordinated by Julia Logan in Western Australia on a regular basis, and veterinary heart specialists have sessions set aside where Cavaliers can be taken to their clinics on an ad hoc basis, Has the breeder arranged to have the dogs heart tested? Ask the breeder why does she/he breed? Ask them “is it for the betterment of the breed or personal / financial reasons?”. If the breeder is selling puppies without CAWA papers then the breeder cannot call them purebred Cavalier King Charles Spaniels and they are not a registered breeder. "How much investment (time, money, commitment for the betterment of the breed) has this breeder put in to producing quality puppies?" “Is this really a reputable breeder or someone who sees a way to make a quick dollar? Canine Association of WA registered breeders are obliged to abide by a Code of Ethics. This offers you as a puppy buyer some peace of mind, rather than purchasing from an unregistered breeder who has no obligation to abide by a Code of Ethics and cannot provide you with a certificate of registration for their puppies.